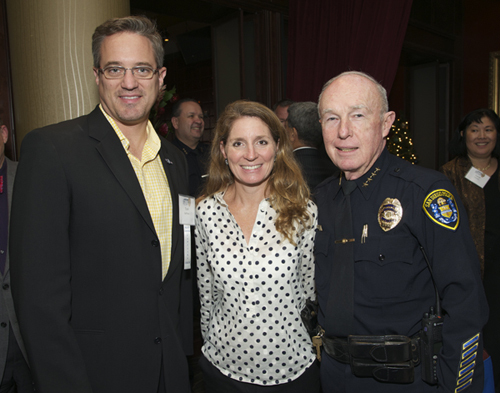 Over 500 attendees gathered at our 14th Annual Friends of the Badge Luncheon with Champion Sponsor Qualcomm at the Valley View Casino Center, raising more than $125,000 to propel the Police Foundation’s mission to fund equipment, technology and training for those who protect and serve. 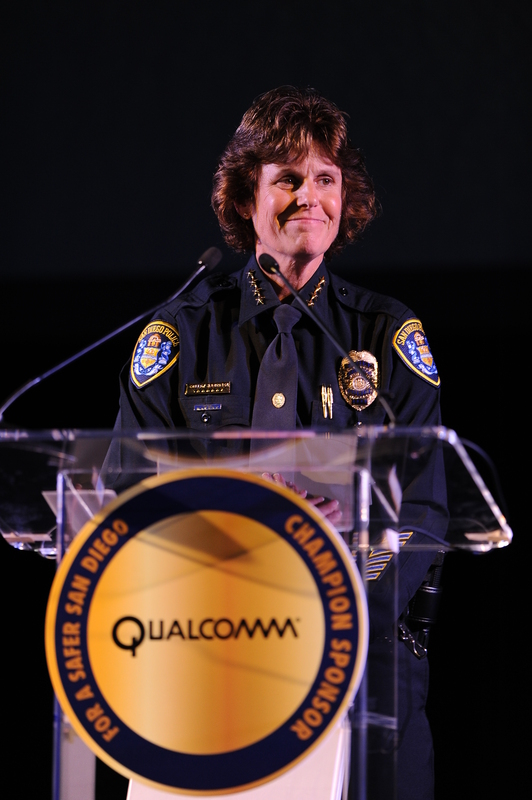 The theme of “Honor Dedication Trust” rang out as Chief Zimmerman shared her commitment to building a culture of excellence at the San the Diego Police Department commending our officers and civilian professionals at SDPD for their dedication every day to being, as it says on our patrol car doors, America’s Finest. She also called upon the audience to listen for something very special in the arena that day: the sound of the heartbeats of community members who care, a truly powerful force. Mayor Faulconer spoke of the importance of business, philanthropy and government all working together, which is so evident at Friends of the Badge, and he declared his support for public safety, SDPD’s new Chief of Police, and the first responders who met the challenge of the May wildfires with stellar inter-agency cooperation. It is contributions like yours that save lives and make San Diego safer. The Police Foundation is concluding a drive to ensure that SDPD’s officers have life-saving trauma kits. It is not too late if you would like to help by contributing at this link. Thank you to all of you who attended. Thank you to all of you who contributed whether at the event, before or after. Thank you for all of you who care about our men and women in blue. You are Friends of the Badge. For more information about the Police Foundation, please follow this link to an appearance on the San Diego Union Tribune’s Community Spotlight radio show. Armon Mills, Assistant Chief Shelley Zimmerman, and Chief of Police William Lansdowne enjoy the Friends of the Badge Luncheon. 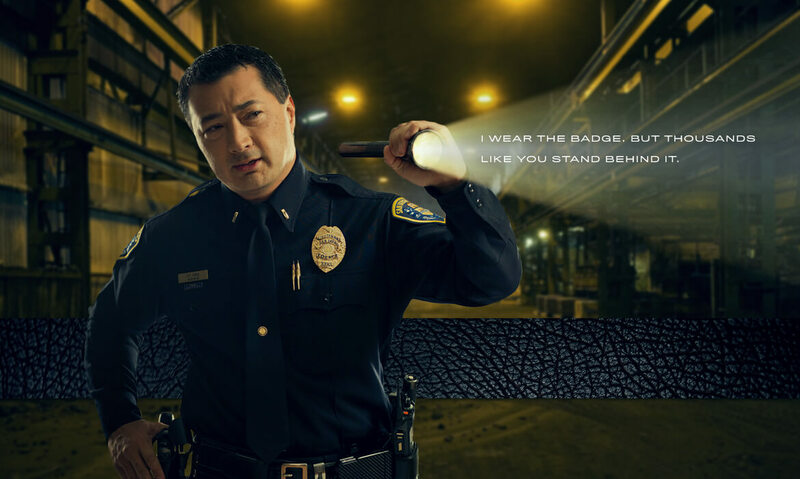 The San Diego Police Foundation and “America’s Finest” officers are hosting the “Friends of the Badge Luncheon,” 11 a.m. Wednesday, June 26 at the Valley View Casino Center, 3500 Sports Arena Blvd. The luncheon is the Police Foundation’s biggest fundraiser of the year and proceeds help insure that programs critical to public safety receive funding that is not available through the city’s budget. This year’s theme is “Keeping Kids Safe Online” through the SafetyNet: Smart Cyber Choices program. 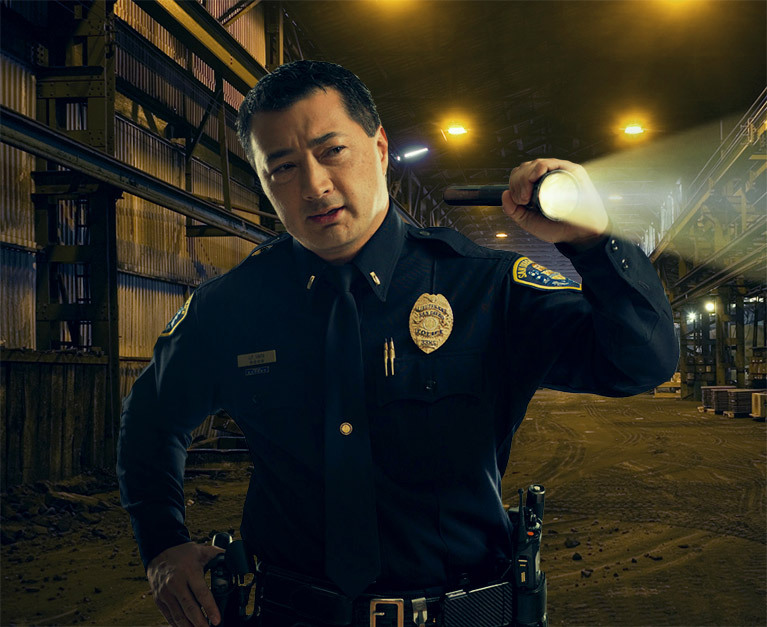 SafetyNet is collaborative program of the Police Foundation and the San Diego Internet Crimes Against Children Task Force. It is the largest Internet safety provider in the region and has trained more than 75,000 middleschool-age children, teaching them how to stay out of harm’s way as they venture into the Internet world. Tickets for the luncheon are $100 per person, with tables for $1,000. Sponsorship opportunities are still available. For details, contact Dayna Klock at dayna. spf@gmail.com or call (619) 232-2130. The San Diego Padres donated $10,000 to the San Diego Police Foundation in support of its mission to raise awareness for the important unbudgeted needs of the San Diego Police Department. Chief of Police William Lansdowne, along with Keith Jones, Principal of Ace Parking and AG Spanos, CEO of the San Diego Chargers held a press conference announcing the gift of 18 specialized patrol bicycles to the San Diego Police Foundation for use by SDPD and the Special Events Unit. The new, specialized bicycles are equipped with technology and enhancements to support the officers. They are easy to maneuver and important for use in large crowd settings such as sporting events and community gatherings and also increase direct officer-to-community communication and interaction, which are key components to the SDPD’s community outreach policing approach in San Diego. Most recently the bicycles were used in the parking lot of Qualcomm Stadium during pre-game tailgating, which attracts thousands of fans for hours prior to the game. The officers can easily navigate the crowds and traffic and utilizing the bicycles enhances the connection between the officers and fans with the goal of creating a safe experience for all. The parking lot at Qualcomm is managed by Ace Parking and the bicycles also support the large Ace staff with crowd control and parking management. 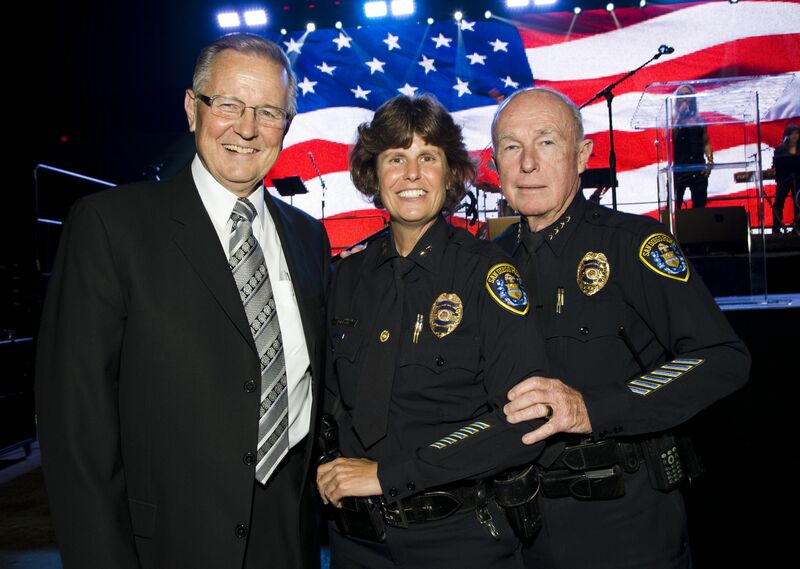 “A strong, collaborative partnership between businesses, the San Diego Police Foundation and the SDPD is valuable in building a far greater and more direct connection between the department and the communities they serve,” states Sara Napoli, President & CEO of the San Diego Police Foundation. The 18 bikes, valued at over $15,000 is a gift from long-time law enforcement supporter and San Diego Police Foundation board member, Keith Jones, Principal of Ace Parking. “As one of San Diego’s oldest family-owned businesses, we are proud to partner with the Police Foundation and the SDPD in creating a Safer San Diego,” states Keith Jones, Principal of Ace Parking.